Gerd Gemünden is Ted and Helen Geisel Third Century Professor in the Humanities and Professor of German Studies, Film Studies, and Comparative Literature at Dartmouth College. He is the author of Framed Visions: Popular Culture, Americanization and the Contemporary German and Austrian Imagination (1998) and editor of volumes on Wim Wenders, Rainer Werner Fassbinder, Douglas Sirk, as well as an anthology of critical writings on Marlene Dietrich. 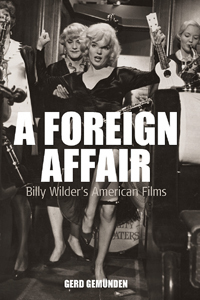 A Foreign Affair by Gerd Gemünden is available open access under a Creative Commons Attribution-NonCommercial-NoDerivatives 4.0 International License (CC BY-NC-ND 4.0) with support from Knowledge Unlatched.